Firework restrictions are in place for Santa Clara City. Please check the map for restrictions in your area before setting off your fireworks. Click here for a a list of prohibited Fireworks. 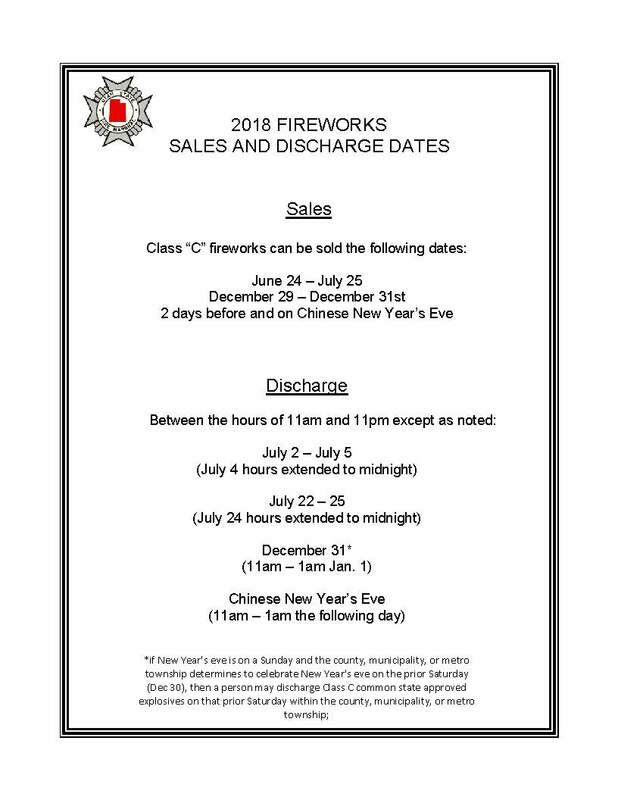 Click here for the Firework discharge dates. Fireworks restrictions are in effect, and it is important that you understand which locations throughout the city are restricted and considered dangerous for personal fireworks use. 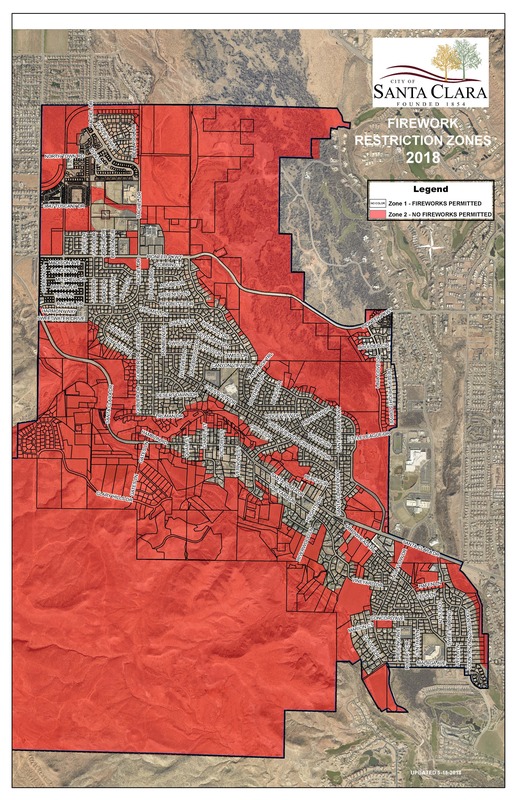 We hope that you find this webpage useful in identifying these areas. Local fireworks retailers will also have maps available for you to view. Your help in keeping our community safe this holiday season is very much appreciated. No firecrackers, cherry bombs, roman candles, bottle rockets, single or reloadable mortars, or other Class “C” fireworks not State of Utah approved. The lighting of fireworks on holidays has become a tradition with many families. If people act responsibly with legal fireworks activities, they should have an enjoyable holiday. The vast majority of legal displays occur without incident. The majority of fire incidents that occur are a result of illegal or improper fireworks discharges. Be smart, safe, and responsible. Handle used and “dud” fireworks with a shovel.